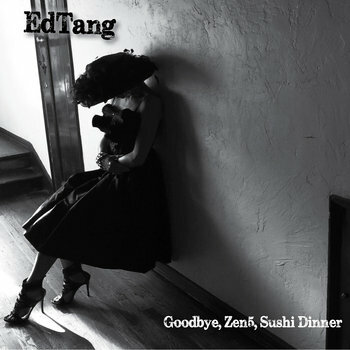 A couple of months ago I reviewed Ed Tang's most recent EP, an exuberant push into alt-country. I mentioned that there was...something...missing. When I went back and listened to Goodbye... I realized what it was. The EP feels a lot like someone took a paint-by-numbers outline and mixed their own paints. It has it's points of originality, but the form has been studiously followed. It seems like Ed really wanted his second release to feel a certain way and may have stifled some of its own energy in the process. You can’t go back, its full speed forward to some midlife heart attack. Baby, they brought me back to you.